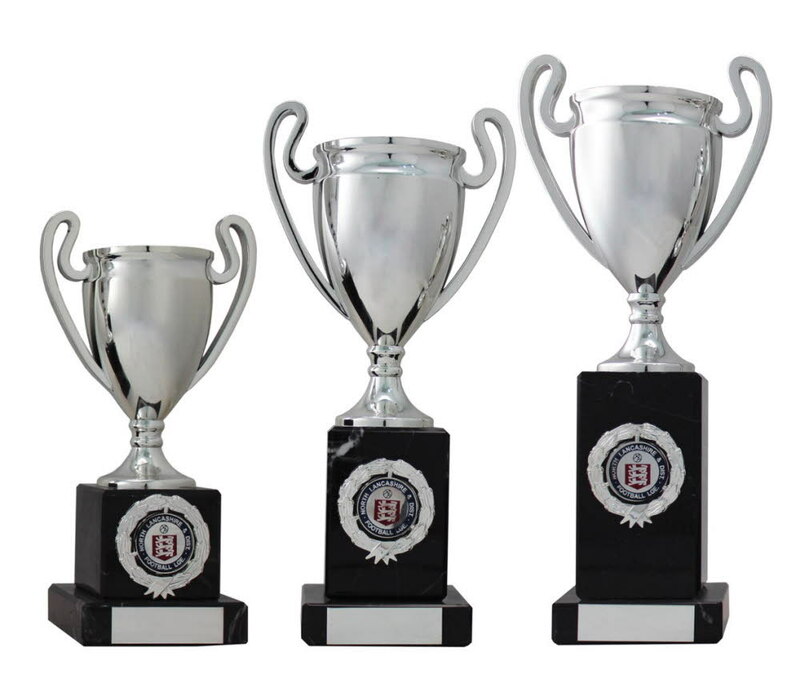 Any Sport Silver Cup on Black Column Marble Awards. Available in 3 sizes, 190mm, 240mm and 260mm high. Silver cup with handles mounted onto a solid heavy black marble base with silver centre holder.